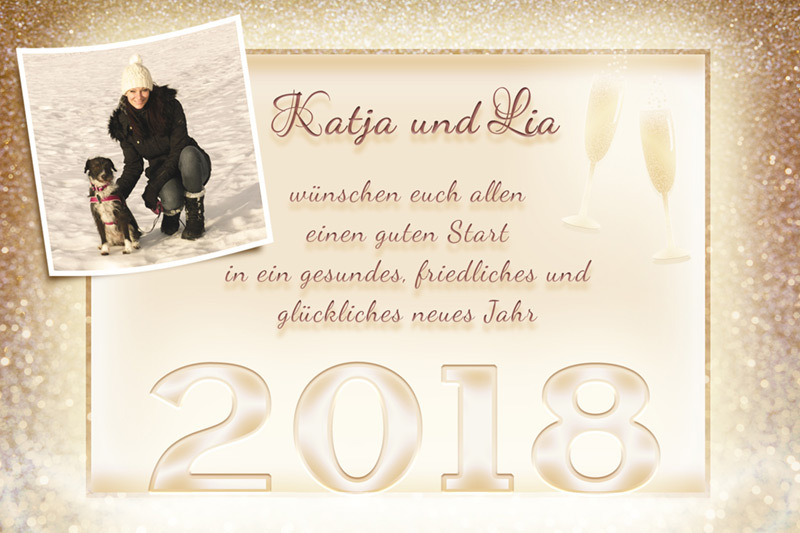 2018 – wishing you a happy new year! The year 2017 is over – a year full of beautiful, exciting and wonderful moments! I would like to thank all the people who have accompanied me over the year, who have laughed and cried with me, who have supported me and by whom I have learned! A BIG thank you to all my clients for their faith in me and my work! I wish you all (two- and four-legged) a healthy, happy and wonderful new year 2018!